List Price at Contract: $529,000. Listing History: Changed hands as an estate property in need of work in April 2004 for $272,500. Next was purchased with all the Bells and Whistles in January 2005 for $549,000. Looks like the current Sellers took a bit of a hit, at a net of $505,000. this time. It was not identified as a short sale (which means they did not need to get the bank involved despite selling for less than they did in ’05). Recent Listing is: Here. To see more pics, click the arrows on the main picture (only available on the second version of the listing). You’ll see two listings on top of each other. The first one expired and the second was the same property entered back into the system. 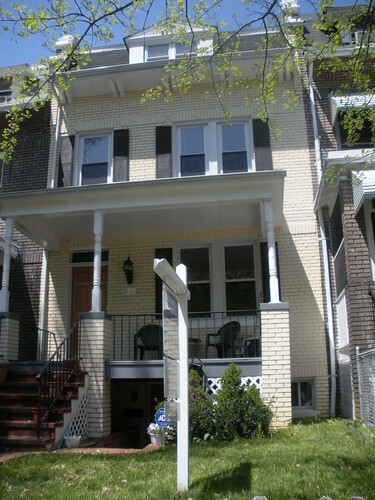 Over the past several months, we’ve looked at quite a few Petworth properties, which range tremendously in price, condition, and that all important factor, proximity to Metro. This property was featured as a “Good Deal or Not” (GDoN) post after the price had been lowered substantially from its highest pricing point. It was interesting to see what people had to say about a renovated property in this location priced over half a million dollars. Generally, I thought it fared pretty well comment-wise despite a, “I think the house has to be larger and/or closer to the metro to fetch over $500k”, here and there. It’s great to see houses in all conditions actively selling. Sales like this present the opportunity for someone to move in and not have to spend their time and money renovating. Seeing that someone else paid over $500,000. for a renovated property in the neighborhood can be encouraging to those who are in the process or plan to do a lot of updating. Subsequently, another wave of houses that have been lingering in bad condition are getting lived in again. Good news all around.